Granny put the receiver back on the crank wall phone and suddenly hollered out, “She’s coming!” the elderly lady turned and hurried to her first-floor bedroom as if disaster would fall if she did not hurry. I was just a little kid but I could tell panic when I saw it. I wondered what had gotten Granny was so excited. Just then my mom suddenly breezed past me with a determined look on her face. She was clearly focused on getting upstairs and out of the way. I couldn’t believe that my little short mom literally ran skipping every other step. I could hear her run around the landing to the second-floor bedroom she and I shared. Then, my aunt Shirley calmly walked through the foyer where I had remained this whole time, and leaned through the still-open door into Granny’s room. It was clear to me that she wanted to know more about the mystery visitor. By this time I had pushed my way past Aunt Shirley so I, too, could see what Granny was doing. She was rapidly going through her collection of aprons with one hand while trying to remove the soiled apron she was wearing. I was old enough to understand that she was trying to ‘dress up’ into fancier garb so she could properly receive the guest who was on the way. 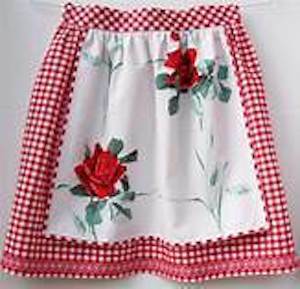 Granny normally wore a long, white cotton apron that went over her neck and was pulled tight around her waist. The apron strings were long enough to wrap around her back and be tied in a bow on her stomach. It had two large pockets on the lower half, but they seldom contained anything unless she had been sewing. I was already aware that she had a number of fancy, feed-sack aprons. Most of these had no bib, but often had ruffles or lace. Some were in solid colors, but most had prints of flowers or a checkered pattern. For formal occasions she had what she called pinafores that had fancy pleats and flowers on the shoulders and around the edges. One in particular reminded me of springtime and Easter, for some reason. I don’t remember her actually wearing it, even when we had company. Granny held that one up and then put it back while shaking her head. “I don’t want to seem too concerned now, do I?” That was enough to tell me the visitor was really important. Finally, she settled for a clean cotton apron that matched her dress. It was quickly tied in the back by Aunt Shirley since it had shorter strings. After finishing this little task Shirley turned to go upstairs. That left me wondering if I should go upstairs and hide from all the excitement, perhaps joining mom behind our closed bedroom door. I figured that if I did that I’d never find out who was coming, but maybe I didn’t want to know. I figured that if they were all that important it was likely that I’d help more by staying out of sight. I didn’t know where Julia or George were, but I’d bet that George was still sitting at his place in the dining room. I ran to the doorway and stuck my head in. Julia wasn’t anywhere in sight, but I was right about George. I responded, “I’m not sure but everybody is all wound up and excited.” I didn’t wait to see the effect of that information on George. I sensed it was time for me to run upstairs and get out of harm’s way. Later, mom and I were given the ‘all clear’ to rejoin Granny downstairs. Mom went down to talk about what may have taken place, but I hung back for a while since I’d already busied myself playing with some toys. I was ‘pretending’ and was so deeply involved in my complex, ‘make-believe’ world, that I wanted to finish. I think I simply shrugged any concern because, after all, boys don’t wear aprons. Come to think of it, maybe that’s why they hardly ever have clean clothing, either. What I remember is that all three women in my home had a selection of work aprons and dressy aprons. They were aghast at the idea of being caught wearing a dirty apron when a visitor arrived. I had already figured out that these garments were necessary to protect the limited wardrobe of the housewife of the day. Granted, they usually had two or three ‘house-dresses,’ verses maybe only one ‘Sunday, go to meeting dress.’ If anyone was coming home with us after church, like maybe the preacher, she’d keep wearing that good dress but slip on a nice matching apron while she prepared the chicken, or whatever she was serving. When dinner was served, she’d hang that apron up and join the family so she would have a seat during the blessing. After nervously picking at some of the food she would reach again for her apron and start refreshing everyone’s tea or clear the table. She didn’t eat much at the meal because she was too worried that everything would go well. I think she sneaked a bite of the left-overs after the guests left. Back in the day aprons were one of the first things that girls would learn to make, whether in homemaking class or at home. The accessory did save a lot of nice dresses that may have been ruined had they not been available to protect the larger investment of the lady’s dress. 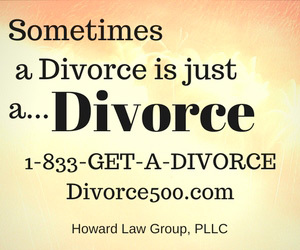 I know from personal experience that cooking, baking, or other food preparations can be messy. Everyone knew at once if I had been baking. Flour would get so out of hand no matter how hard I tried. While my Suzie still wears aprons, I know they are no longer the fashion they were when I was growing up. Maybe part of the reason is because dresses themselves are not worn as often. A little flour on your jeans isn’t a big deal, I guess. 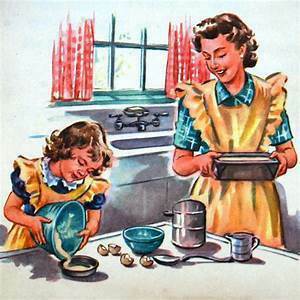 I remember when I was growing up that the kind of apron you wore, even if you were a man, told others what you did for a living. For example, the blacksmith, a nearly forgotten trade, worn a leather apron. Dealing with hot coals and the glowing red iron was dangerous to anything he wore. When hammering out a horseshoe on the anvil was dirty work, too. The black leather apron was thick enough to protect the smithy from serious burns. The grocer wore a white long apron that he would often change into clean ones throughout the day. They had to change especially if they had to work the meat case, or had to butcher a chicken, or a turkey. Back then live chickens were sometimes in cages so the grocer had to butcher them for fresh meat. The resulting blood on the apron was unsightly and hurt the sensitivities of the ladies. I think us boys were a bit less sensitive. Sometimes Granny would buy live chickens and wring their necks out back of our house. She didn’t chop their heads off until they were dead and unlikely to jump around. Barbers wore a striped, or ticking apron sometimes. Others, such as brick masons, carpenters, and many different trades had their own style. Most were full-fitting, but some were below the waist models. They had pockets that held nails or tools. French maids weren’t in uniform without a white frilly apron. I never met a French maid but I have seen their pictures. Even the Free Masons, like George Washington, wore little short aprons, some with markings that declared the owner’s station or rank. Other workers wore ‘coveralls’ that were either the bibbed variety, or were like a jumpsuit that was favored by filling station attendants and mechanics. I remember one farmer that walked into town often wearing his best Sunday, bibbed overalls. He usually had shiny dress shoes, a plaid sport shirt that was buttoned all the way up, and a hand-painted necktie. He also wore a felt dress hat, as was the fashion of the day. (Baseball caps were considered too casual) He usually had a clean bandana hanging out of his back pocket. I never knew where he was going, but I’m sure he looked great when he got there. 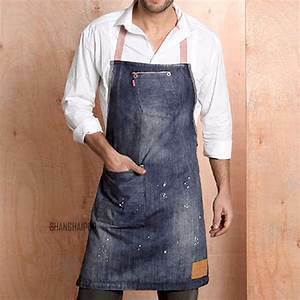 When I was older and raising our children Suzie made me a shop apron out of some denim fabric to use while I was making or refinishing furniture. As my sons grew up they wanted to watch or join in on the fun. She made them aprons of their own that were just like mine, except smaller. I think we still have a kid’s apron around somewhere. I expect they might end up with another generation as it becomes appropriate. I don’t recall that we had patios or decks back during my school days. Of course, those are common now and usually sport a gas or charcoal grill. Often the cookout chef is the man of the house who comes equipped with a spatula and a full-sized apron. There’s a big business in designing and selling those for ‘Father’s Day,’ or just to show honor to dad. Years ago, I was given one from a friend who was an official with the state prison system. My wife doesn’t like me to wear it because it is emblazoned with the words, “Department of Corrections.” While I threaten to wear it, I am smart enough to wear a nice restaurant model I picked up at a kitchen supply store. I know that waiters in upscale restaurants, whether Italian, French, or German, wear a half-apron under their tuxedos covering them from waist to knees. The wine stewards are the same, but the chef or sous-chef wears fancier outfits, sometimes with an apron, too. Like a tablecloth, it is easy to switch when one becomes soiled and is unpresentable. Often the rental supplier who provides cloth napkins and tablecloths, will also provide aprons and even chef’s jackets, pants and headwear. When I was growing up the waitresses at Rips all wore uniform that including matching aprons. I remember seeing a picture in one of my high school albums where they are posing as part of their ad. That brought back memories of a time when what you wore identified you, either as a gasoline attendant, a doctor, a nurse (no scrubs, just white dresses and the correct cap), grocer, teacher (suit or dress), or railway engineer, or conductor. Times have changed. Great (funny) article Mike. I remember things like that happening at our house, Mom & my older sis would be going wild trying to get ready and making sure every4thing was just so, so. Of course we three boys could care less, always a laugh or two some where during the visit. Great memories, keep them coming and “thanks for the memories”.